We are professional and caring employees, providing transportation services that protect students, support quality learning and improve the community. Remind your children that you expect them to SOAR by being safe, orderly and respectful. We reinforce (and model) these expectations regularly on the bus and work through the Three Step Plan To Manage Student Behavior. Our plan includes (1) prevention and (2)intervention steps that are used by the driver to help our students develop appropriate behaviors and habits If needed, the driver may call you to ask for your help with changing inappropriate behaviors or habits that your child may have exhibited. We also do our best to address concerns you may have for your child. The final step of the plan is (3) consequences, administered by school staff when your child's behavior fails to meet the safe, orderly and respectful expectations we hold or when a single action is sufficiently serious to merit immediate action. Over 26,000 students begin and/or end school every day on the school bus. 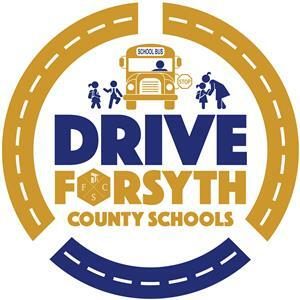 That means for nearly two-thirds of Forsyth County Schools’ children, the door to the schoolhouse is yellow! It is a huge responsibility that we undertake every school day and we are committed to providing "Safe, Orderly And Respectful" transportation services to your student.